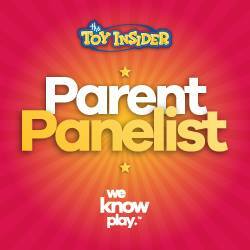 Disclosure: I have partnered with Einstein Bros. Bagels for this blog post. Opinions are honest and my own. I stopped by my local Einstein Bros. Bagels recently to try one of the new gourmet Fresh Cracked Egg sandwiches they have just started offering. There are three varieties to choose from and I decided to go with the French Toast Egg Sandwich which is made up of Applewood Bacon, Maple Shmear, and Cheddar Cheese on a Fresh-Baked French Toast Bagel. It was delicious! After enjoying my Fresh Cracked Egg sandwich my stomach was full and I felt fueled up to take on the remainder of my day. Guess what?! 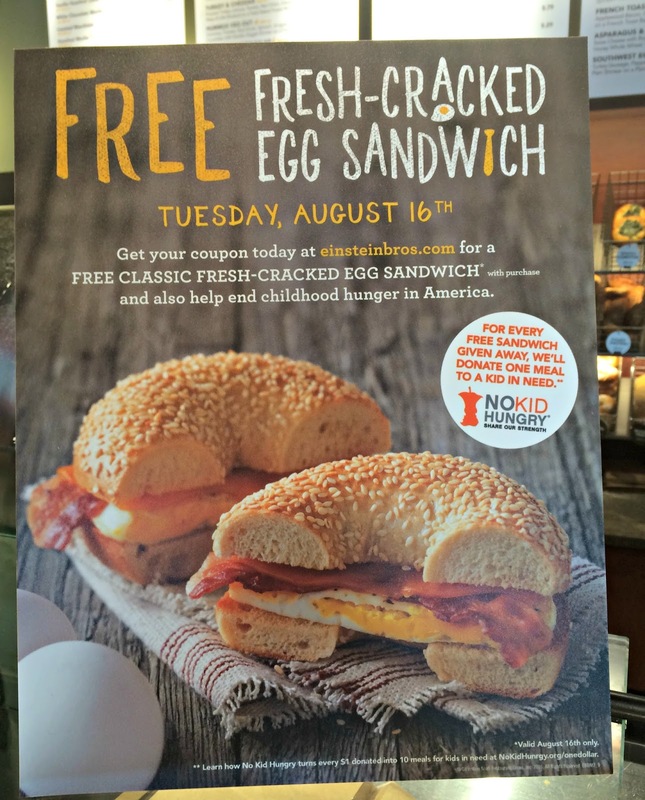 If you want to try one of these sandwiches for yourself Einstein Bros. Bagels is giving them away for FREE on Tuesday, August 16, 2016 at its U.S. locations when you make any purchase that day. That is not it though...this promotion gets even better! 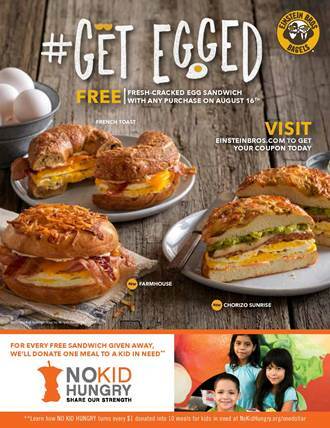 For every free gourmet Fresh Cracked Egg sandwich given away on August 16th, Einstein Bros. Bagels will make a donation to the non-profit organization Share Our Strength's NO KID HUNGRY campaign which provides meals to kids in need. How awesome it that! You have the chance to receive a meal and give one to help someone else just by stopping in to a Einstein Bros Bagels location. Farmhouse: Applewood Bacon, Smoked Ham, Country Pepper Shmear, and Cheddar Cheese on a Cheesy Hash Brown Gourmet Bagel. Chorizo Sunrise: Chorizo, Avocado, Jalapeno Salsa Shmear, and Pepper Jack Cheese on a Green Chile Gourmet Bagel. A donation will also be made to Share Our Strength's NO KID HUNGRY campaign by Einstein Bagel's based upon your participation in the August 16th promotion. 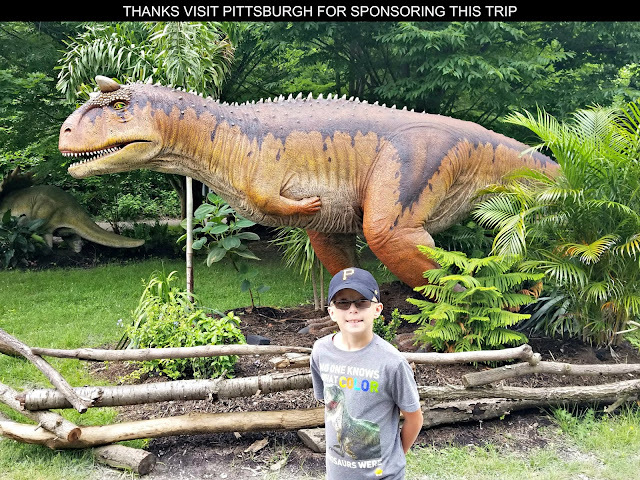 There are a lot of children across the United States who don't get the nourishment they need to have full stomachs and feel fueled up to take on the challenges of each day. #GetEgged on August 16th to help the NO KID HUNGRY effort!